In 2000, the National Band Association launched the first of its two Mentor Projects, the Young Composer Mentor Project. The brainchild of composer and music educator Mark Camphouse, the idea was to pair young aspiring composers with working veteran composers for an intense three-day collaboration. This soon led to the implementation of the Young Conductor Mentor Project in 2004 under the leadership of project director Paula Crider, Professor Emerita, University of Texas at Austin. The young conductor component was added at the suggestion of mentor Frank Ticheli, following the first two young composer events. Over the past 17 years, 40 young composers, and 34 young conductors have distinguished themselves through participation in the YCMP. The Project places a strong emphasis on the importance of composer-conductor interaction. The young composers and conductors work in collaboration to present public performances of the young composers’ compositions conducted by the young conductors. Composer Mentors have included Jack Stamp, Timothy Mahr, David Gillingham, Frank Ticheli, Donald Grantham, David Maslanka, David Holsinger, Julie Giroux, James Curnow, Robert Sheldon, Andrew Boysen, Thomas Duffy, Joseph Turrin, Carter Pann, Dana Wilson, and “The President’s Own” 1st LT. Ryan Nowlin. All have been recruited by visionary creator of the YCMP, Mark Camphouse. Conductor Mentors have included Frederick Fennell, Frank Wickes, James Keene, Thomas Fraschillo, Steve Steele, David Gregory, Gary Sousa, Robert Ponto, Anthony Maiello, David Waybright, Steve Peterson, Terry Austin, Tom Dvorak, David Whitwell, John Culvahouse, Gary Hill, Frank Battisti, Richard Good, Col. Jason Fettig, and Col. Larry Lang. Conductor mentors have graciously participated with the encouragement of conductor coordinator, Paula Crider. During the three-day event, young composer participants have their works rehearsed, performed, and recorded with the young conductor participants conducting. All rehearsals, a final performance, and a recording session are attended and supervised by all composer and conductor mentors. Many alums of this joint Project have gone on to have highly successful careers as conductors, composers, and educators at the high school and college-university level, and with professional military bands. 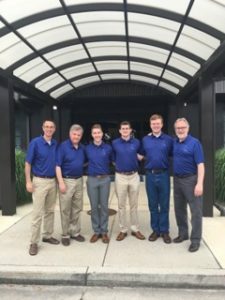 Previous Mentor Projects have been hosted by The Texas Bandmasters Association in San Antonio, Illinois State University, and Arizona State University. Mark Camphouse points out that a great number of previous YCMP winners have “gone on to become published, widely performed composers . . . and are serving our profession with distinction.” [they are] “proving to be a true lifeline to the future of our wind band repertoire. 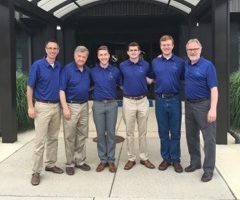 They are making a difference,” as are the many young conductors who are proving to be the leaders in the “next” generation of wind band conductors. The National Band Association would like to recognize the Conn Selmer Corporation for helping to subsidize the 2017 Young Composer/Young Conductor Mentor Project. Thank you John Stoner and Tim Lautzenheiser! 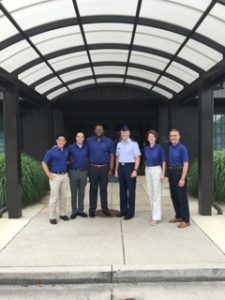 Mentor participants were privileged to take part in a once-in-a-lifetime opportunity to work with the talented musicians in The United States Air Force Band in Washington, D.C., Col. Larry Lang, Commander/Conductor. The 2017 project was held Wednesday-Friday, June 14-16. Andrew Boysen, Timothy Mahr and YCMP Composition Coordinator, Mark Camphouse served as Composer Mentors. Col. Larry Lang, Anthony Maiello, and YCMP Conductor Coordinator, Dr. Paula Crider served as Conductor Mentors. Each of the three talented young conductors was paired with a young composer for the purpose of engaging in a month-long collaboration prior to an intensive three-day period of seminars and rehearsals. The six participants were selected via a highly competitive national selection process. Mark Camphouse remarked, “. 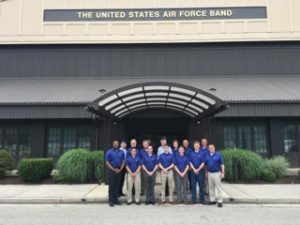 . . words fall far short of describing the incomparable artistic experience provided by the musicians in the U.S. Air Force Band. Not only were the young composers treated to an incredible performance of their pieces, the young conductors were privileged to enjoy the total focus, professionalism and sensitive response of every member of this outstanding ensemble . . . all, of course, a reflection of the masterful leadership of conductor Col. Larry Lang. Needless to say, the young conductors were more than prepared to bring the young composer’s pieces to life!” And, for the first time in project history, the entire event was live-streamed! Col. Larry Lang, Capt. Daniel W. Boothe (2004 Mentor Project Alum! ), and Michael Piersol, CMSgt, USAF Band Chief of Operations, for their support with this special project. John Stoner and Conn-Selmer, Inc. for generously underwriting the educational component of the 2015 YCMP. The George Mason University School of Music and Mason’s Potomac Arts Academy. Dr. Mark Camphouse, visionary creator of the Young Composer Mentor Project. Dr. Paula Crider, visionary creator of the Young Conductor Mentor Project. Zachery S. Meier, “Reigniere” for Wind Ensemble (2016). Currently a doctoral student in composition at the University of Iowa. MA, Washington State University. BM, University of Minnesota-Duluth. Joshua Hobbs, “Into The Blue” for Wind Ensemble (2016). Currently Director of Bands at Wesley Chapel High School and Artistic Director of the Carrollwood Wind Symphony in Tampa, Florida. MM (instrumental conducting), University of South Florida. BM (composition), University of Central Florida. Paul Cravens, “Symphony No. 1” (2016). Currently Director of Worship and Music at Faith Lutheran Church in Hutchinson, Minnesota. BM (composition), Concordia College, Moorhead, MN. MA (composition), University of New Hampshire. DaJuan Brooks. MM in Music Education and Clarinet performance, Northwestern University. BM, University of Arizona. Daniel Cook. Begins DMA in Wind Conducting, Northwestern University, fall 2017. MM, Northwestern University. BM, University of Georgia. David Regner. 2013-present, Director of Bands at Arlington High School, LaGrangeville, NY. Will serve as a Band Officer in The United States Air Force starting September 2017. MM, Northwestern University. BM, Rutgers University. 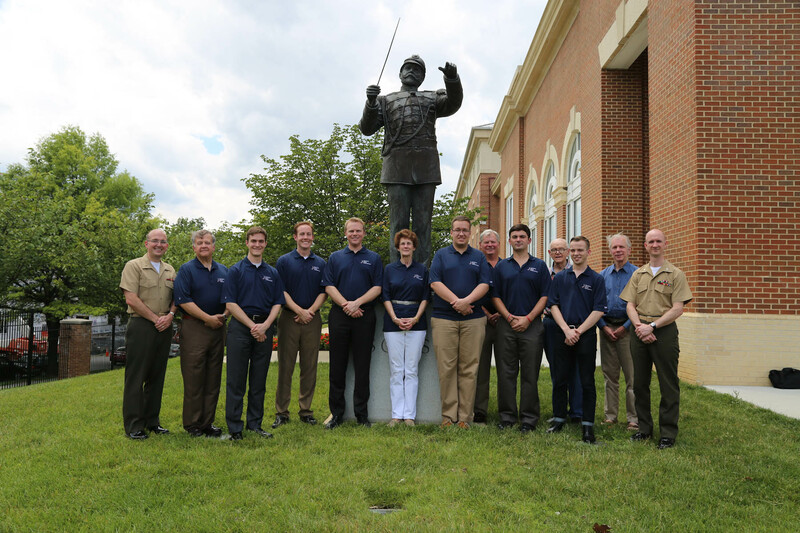 Left to Right: 1st Lt. Ryan Nowlin, Prof. Mark Camphouse, Young Conductors Joshua Kearney, Charley Andersen,Joseph Higgins, Prof. Paula Crider, Young Composers Joe Krycia, Anthony O’Toole, Ryan Lyan Lindveit. Back Row R: NBA President Dr.Rick Good, Dr. Frank Battisti, Dr. Dana Wilson, Lt. Col. Jason Fettig. Photo taken outside U.S.Marine Corps Barracks, Washington, D.C. Applicant must be 29 years of age or younger at the time of the competition. A. Two pieces of contrasting style, at least a portion of which should demonstrate the ability to conduct at slower, more expressive tempi. B. A three- to five-minute rehearsal segment (no longer, please) demonstrating the ability to teach a musical concept. Brief score analysis of one of the pieces conducted on your DVD. Brief vita and list of repertoire conducted in the past two years. Cover letter discussing professional/creative goals.Positive and constructive feedback of materials will be provided upon request. N.B. Please do not require signature for receipt of materials. This will only serve to slow the receipt of materials. If you wish to have materials returned, a self-addressed, stamped mailing envelope should be included in your submissions.